So what about indulge yourself? The chance is there expecting to bring the dream to reality. Give us a call to make an appointment to experience the impressive charm of the state-to-art atmosphere. 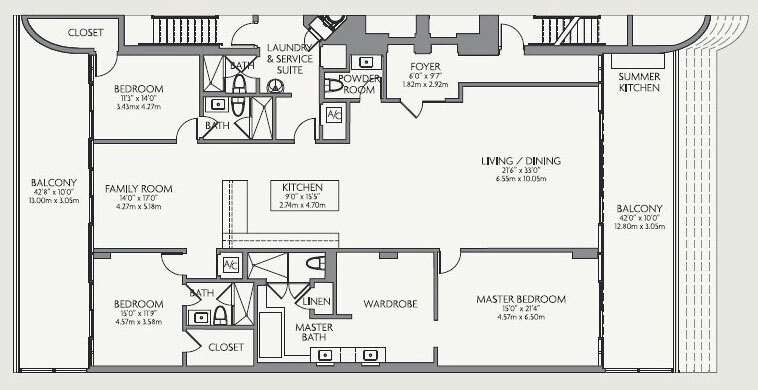 2,3, up to 5 bedroom suits are exceptionally designed over the 16 floors of the towers, which ranges from 3000 up to 9000 square feet of living space. 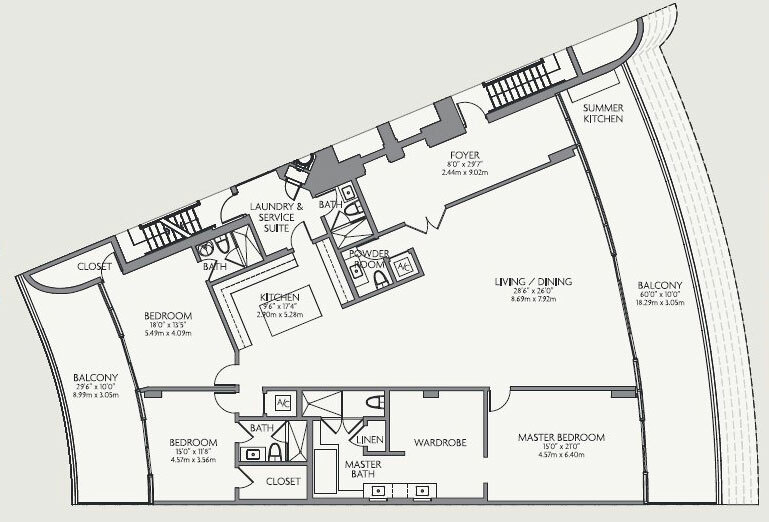 Stunning ample rooms and terraces over ten feet in height and ten feet deep balconies are merely taking over any precedent way of luxury concept. 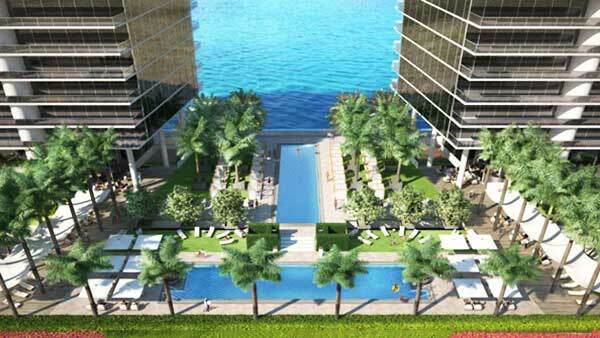 The Privé Island Estates complex is definitely something what will make spin you mind! 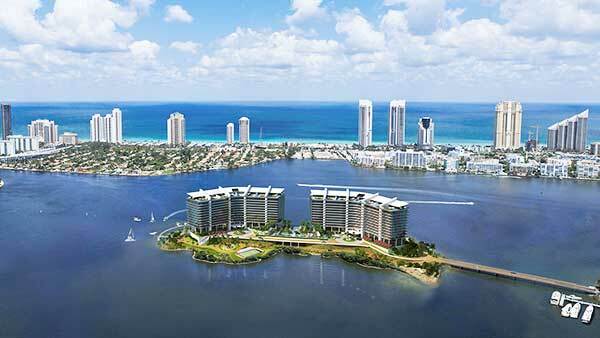 Gorgeous private island on 8 acres territory on the bay of Aventura is becoming the year event in Miami. 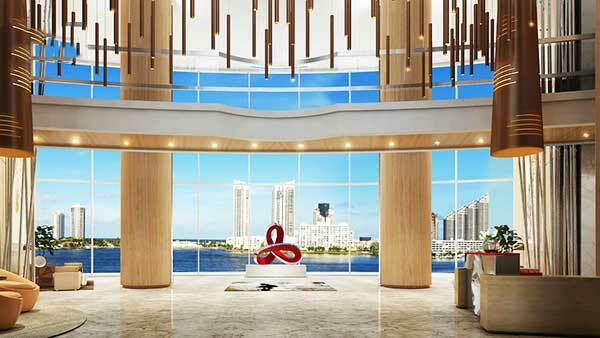 2 majestic towers, giving out to bay are just a piece of art in modern luxury construction. 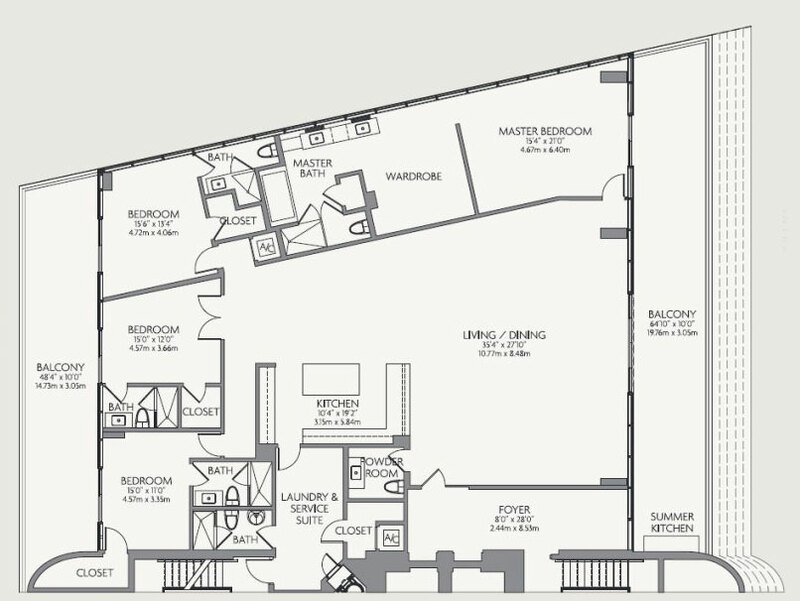 This wonder incorporates over 80 splendid condominiums, offering one of the most picturesque scenery all way around. Nothing but pure beauty, comfort and nature will make enviously lucky those happy owners. It just goes without saying that Privé offers undeniable exclusivity and underlines the status of one of the most successful incorporation of loveliness and technical efficiency – it’s just beyond extraordinary. Sieger-Suarez architectural partnership fairly exceeded the boldest idea of luxury asylum that is offered now to fortunate ones, who never compromise. Here the shore is just over your door, all towers have access to the coast line and invite you to take a walk around its shady passages with your shoes off and your troubles far away. The Privé features list is fairly endless: 70 000 square feet for common social area, where any exciting amenity is served at it most; 10 000 square feet of sport premises – spa rooms, massage and relaxing suits, saunas, gyms with exceptional working machinery and attentive trainers; private dining and social areas for billiard, cigar and wine degustation rooms; private marina for 50 slips; kids entertaining yards with qualified personnel; safe and secure garages with valet services; penthouse floors with extraordinary view over Atlantic – that’s everything you can find in one place. 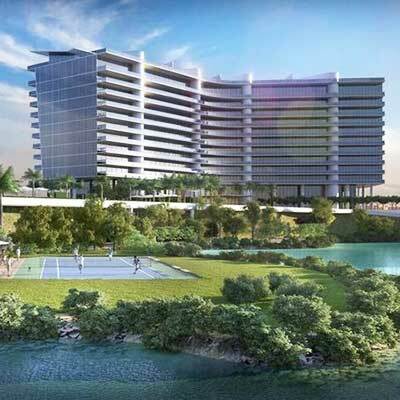 The Privé Island Estates complex is the place to experience the authentic spirit of Miami – nature, people, luxury; it’s where the mind relaxes and gives the place to the feelings. No matter what has brought you here – it will stay forever in your heart! 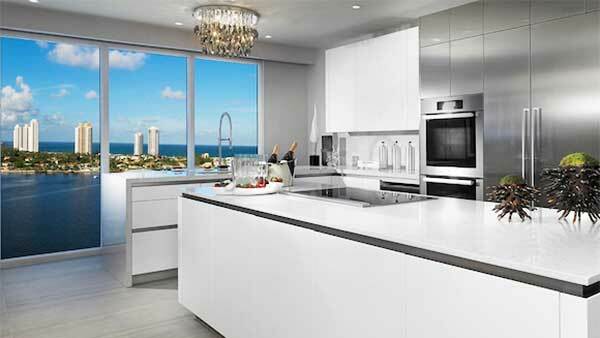 Privé offers 160 graciously appointed residences in two dramatically angled, 16-story buildings. 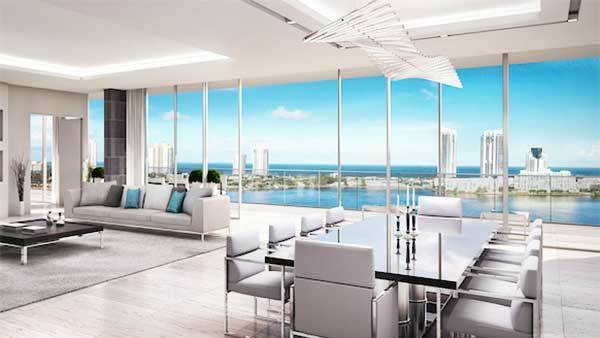 Featuring flow-through layouts with soaring, ten-foot ceilings, each Privé residence offers dramatic views of both the Atlantic Ocean and the Intracoastal Waterway through expansive floor-to-ceiling windows. 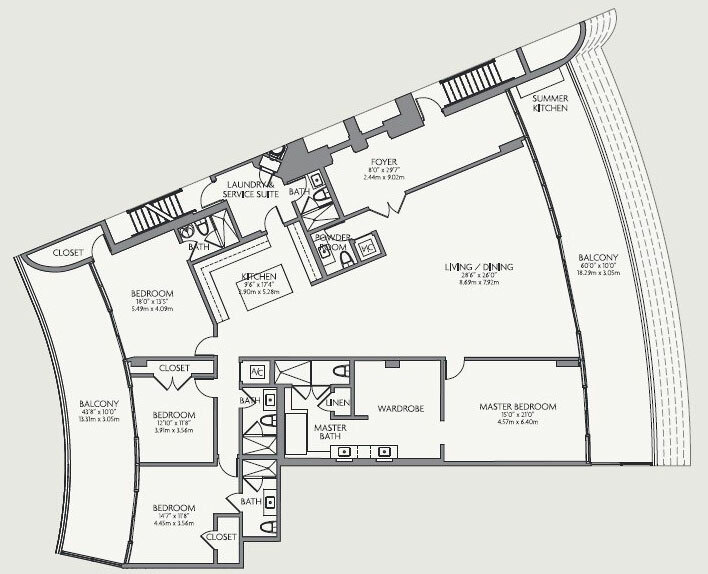 Private elevator foyers lead to spacious, well-proportioned spaces ranging from 2,585 to over 5,600 square feet. 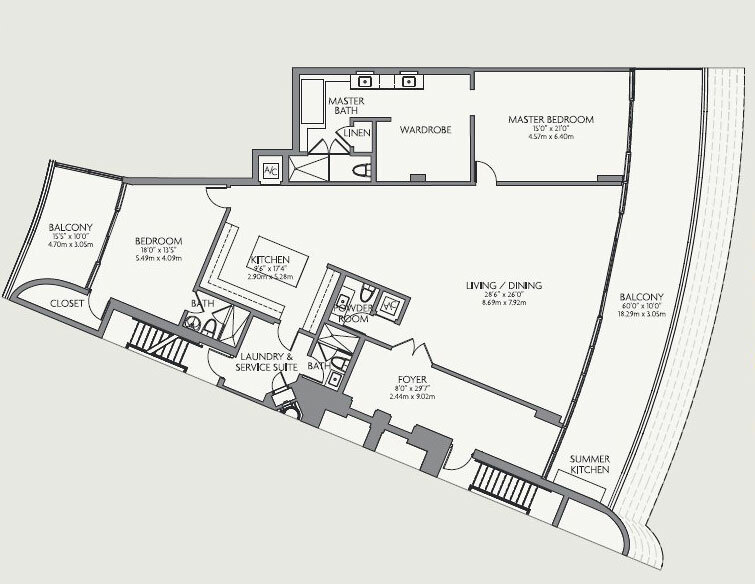 Exceptional fixtures and finishes include European kitchens and baths, plus elaborate summer kitchens for outdoor entertaining on deep, private terraces.